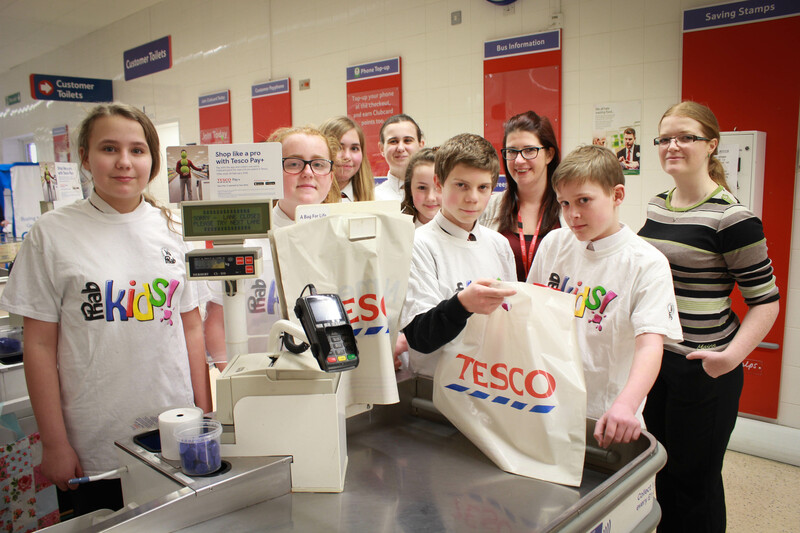 As part of the fundraising efforts for the school’s chosen charity Phabkids, nine Y8 students volunteered their time during one Saturday in January to take part in a bag packing morning at Tesco, New Milton. Students assisted customers with packing their bags between 10am – 12pm with the morning being divided into half hour shifts to try and raise as much money as they could in the process. Students raised a total of £201 for the charity. Phabkids raises funds to support a network of clubs across England and Wales offering lots of great activities which members of all ages and ability can share and enjoy together. There are over 170 Phab clubs with 8,000 members in all age ranges from under 8’s to over 80’s right across England and Wales. Well done to all the students who took part for raising a great amount of money for charity.